As we all know spring is just around the corner! Have you thought about your spring and summer events yet? We are getting the team and the bikes and all our equipment ready to rock! We are aiming to make 2015 our best year yet! Authority Stunts is a fully insured Sportbike Freestyle exhibition. We have done shows for just about any event you can think of. 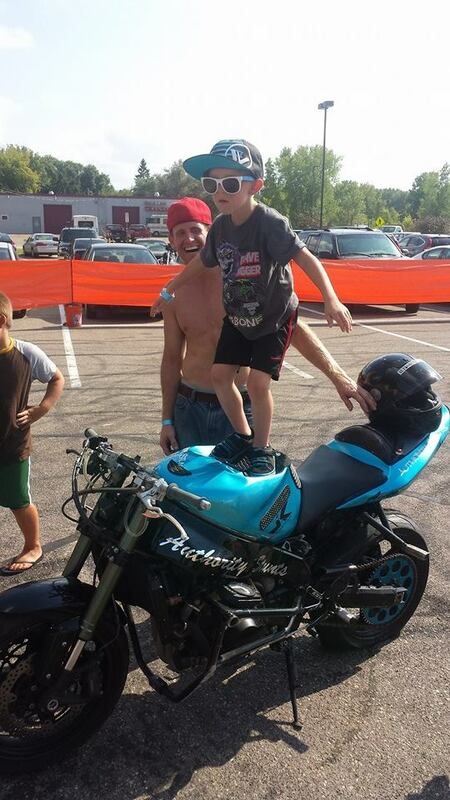 When we show up to the event, we bring out A-Game, not only for riding but for presence as well. We will bring out our big billboard of a rig, our Toy-hauler bus, we will bring full DJ equipment to announce shows and play music during the time as well.